At the fourth edition of Healthcare Sabha, Express Healthcare also honoured state governments for their exemplary work in public health. 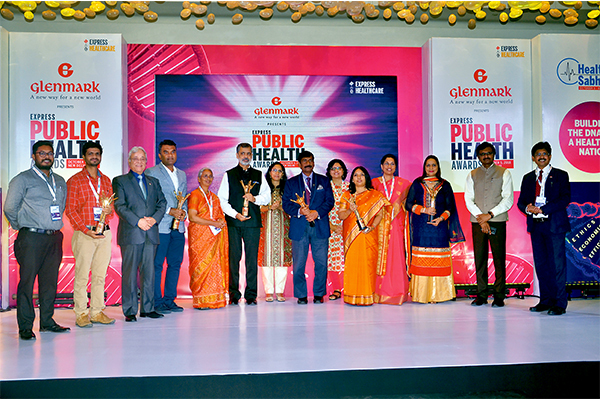 Express Public Health Special recognition were given to some very deserving public health projects across the country to acknowledge their efforts towards making India a healthy nation. The awards night began with a Welcome Address by Viveka Roychowdhury, Editor, Express Healthcare & Express Pharma, who welcomed the delegates and explained the vision and mission of Express Public Health Awards. She also explained the methodology for the special recognition and informed how the editorial team of Express Healthcare went into a search mode to find the well deserving projects of public health from various states. She then thanked the jury members for the team come up with this well deserved list. Next, Dr S Eswara Reddy, DCG(I), who was present at the awards ceremony gave a special address on building a quality conscious public health system. He drew attention towards the growing need for quality medicines and healthcare services. His address was followed by the awards ceremony. Eight special recognition awards were presented to eight state governments for their various initiatives in improving public health within their respective states.